One of the most important aspects of choosing personal injury representation is the ability to reach a successful outcome. The results below offer a brief look at our record of personal injury litigation and settlement in Alabama. If you have suffered an injury due to negligence or misconduct, call the Law Office of Gary W. Fillingim, L.L.C. today for a free case evaluation. $3,000,000.00 recovery in a legal malpractice case involving 2 plaintiffs. 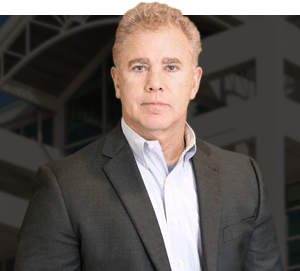 $1,750,000.00 recovery in a trucking accident case. $500,000.00 recovery in an 18-wheeler accident. $500,000.00 verdict in an airplane accident case. $475,000.00 in a motor vehicle accident case. $200,000.00 recovery in a boating accident case. $180,000.00 recovery in a wrongful death case on behalf of passenger in motor vehicle. $160,000.00 recovery in a slip and fall case. $150,000.00 recovery in a motor vehicle accident involving a pedestrian. $135,000.00 recovery in a worker’s compensation case. $125,000.00 recovery in premises liability case against a casino. $100,000.00 recovery in a worker’s compensation case. $100,000.00 recovery in an 18-wheeler case. $95,000.00 recovery in a motor vehicle accident case. $60,000.00 recovery in a motor vehicle accident involving an uninsured motorist. $75,000.00 recovery in a worker’s compensation case. $50,000.00 recovery in a motor vehicle accident case. $50,000.00 recovery in a motor vehicle accident involving an underinsured motorist. $45,000.00 recovery in a dog bite case. The results illustrated here are representative only. Each case must stand on its own facts and circumstances. Any prior results described on this site do not guarantee a similar outcome.